This model Loom not only can weave common towels, but also can weave up and down loop, high and low loop, wave pile patterns, single cover loop, cut pile terry etc. 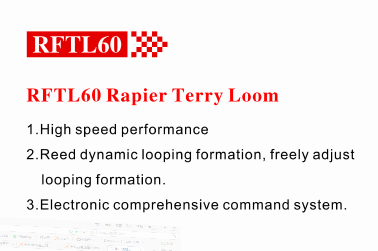 RFTL61 High Speed Terry Loom continuously perfects its electronic control system, makes it reach intermational advanced. 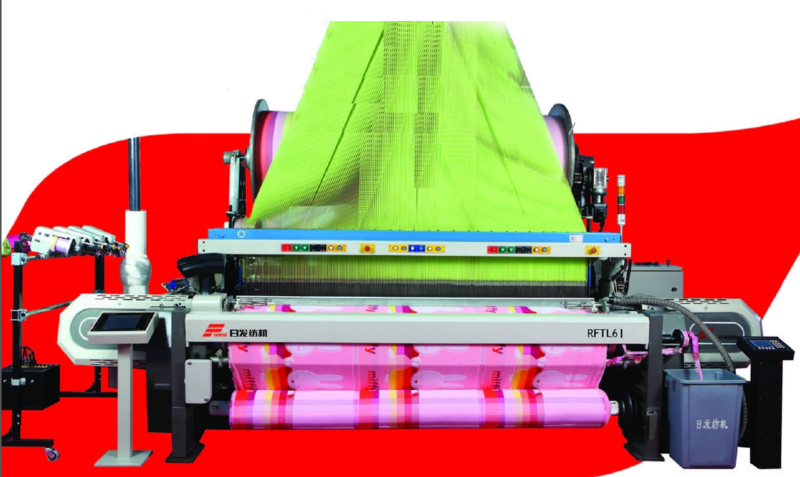 The target of RFTL61 high speed Terry Loom is to weave top grade towels by anyone who exert professional weaving knowledge. Advanced driving control and perfect terry weaving technic make it become a industry leader. Looking for ideal High Efficiency Rapier Terry Loom Manufacturer & supplier ? We have a wide selection at great prices to help you get creative. All the Rapier Terry Weaving Loom are quality guaranteed. 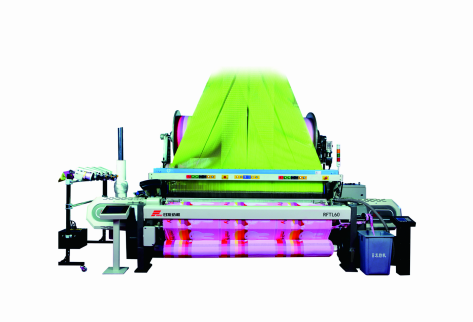 We are China Origin Factory of High Speed Rapier Towel Loom. If you have any question, please feel free to contact us.